Among the worst dining experiences is to find a hair in the meal — but nothing is what it seems in this case of an Italian restaurant in Brisbane, Australia. A disgruntled customer left an angry review of Casa Nostra Ristorante on TripAdvisor, claiming she found hair in her food and the owners refused to take the meal off the bill. But Casa Nostra owners, Sarah Biuso and her husband, hit back by posting a CCTV camera video on Instagram showing a woman who appears to grab a piece of hair from her head and put it on the half-eaten plate. 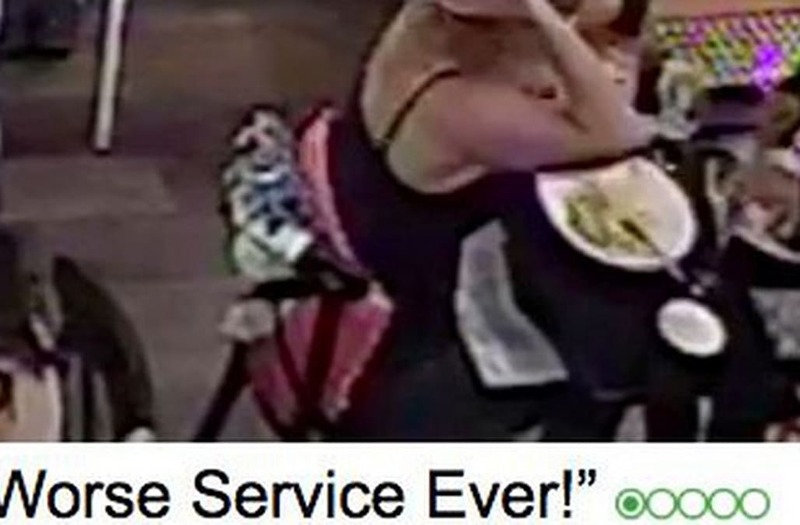 "As you can see, she put her own hair in the plate, stirred it around and insisted the waiter remove it from her as she was so offended," the restaurant wrote in the post. "Because we did not remove the dish from the bill, they told us explicitly that they would post bad reviews on Trip Advisor, which they did." Biuso said they tried to contact TripAdvisor to inform them that they had evidence about the blackmailing attempt. But the reviews went up anyway. "Trip Advisor has a no blackmail policy for reviews and if you inform them in advance, they say they will not post them," the owners said. "Ummm no, we emailed them on the night this happened saying the customers threatened us with these bad reviews and we gave them easily identifiable information." "Yep, you guessed it, the reviews are posted on TripAdvisor for all the world to see." Biuso told News.com that it took them several emails with TripAdvisor and some local media coverage before the reviews were finally taken down. In a statement, Trip Advisor said: "We take very seriously any allegations of blackmail or threatening behaviour by guests against business owners." "It is absolutely against the terms and spirit of our site to use TripAdvisor's name to try and claim discounts, compensation or freebies that would not be available to other guests. We strongly encourage owners who have experienced blackmail to proactively report such threats before a corresponding review is submitted by using our free Management Centre." "When reporting such threats, we advise owners to provide as much information as possible to aid the investigation efforts of our fraud detection team. They will then be able to take action to stop those reviews from ever reaching the site."